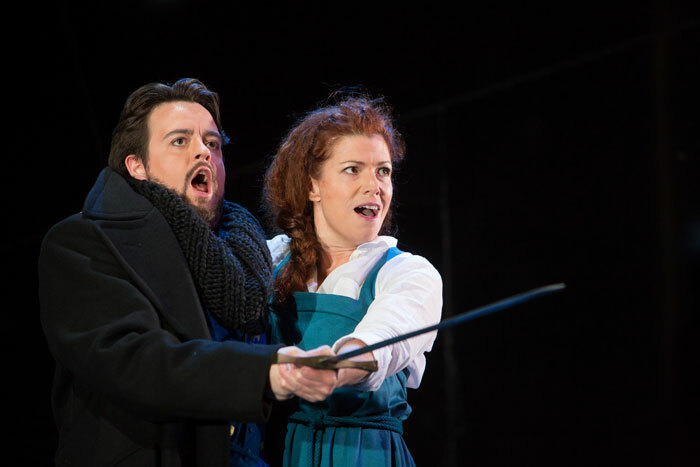 This year the Buxton Festival returned to the bel canto repertoire that it ploughed so successfully a few years back under Andrew Greenwood’s leadership. 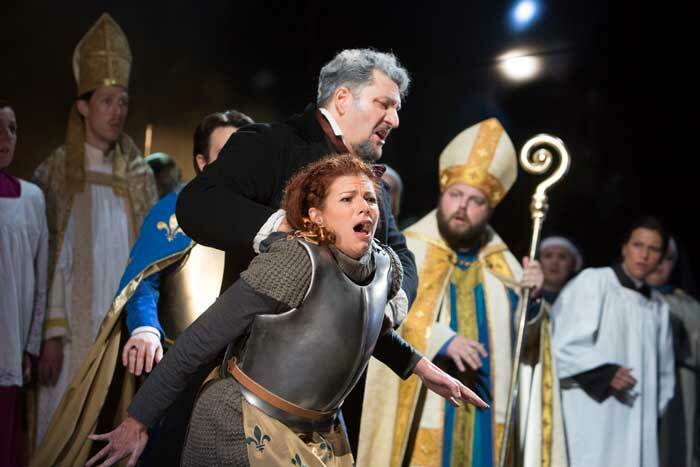 The staged operas chosen were Verdi’s Giovanna d’Arco and Donizetti’s Lucia di Lammermoor. 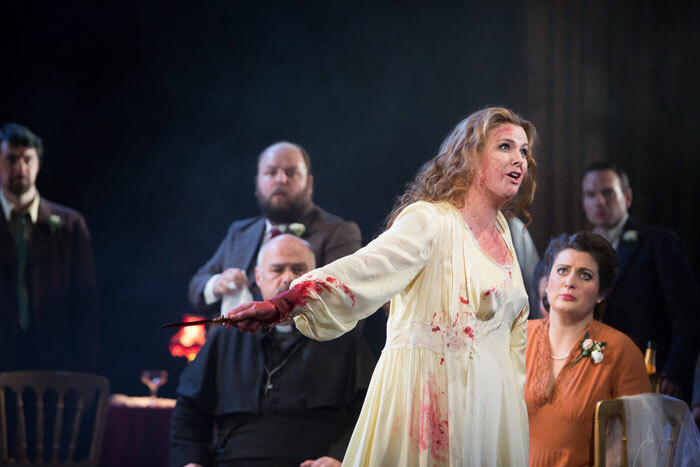 Lucia was the opera given at the first Buxton Festival when, because of illness, they had to use three Edgardos in the course of four performances. Happily they had better luck on this occasion. Whatever caveats there might be about its merits as an opera, the Verdi was definitely the more successful production. The plot is loosely based on Schiller’s Die Jungfrau von Orleans, itself loosely based on history and includes familiar later Verdi themes, such as the father-daughter relationship and the personal versus the public. The music also hints at later Verdi at times, without ever being particularly memorable on its own account. 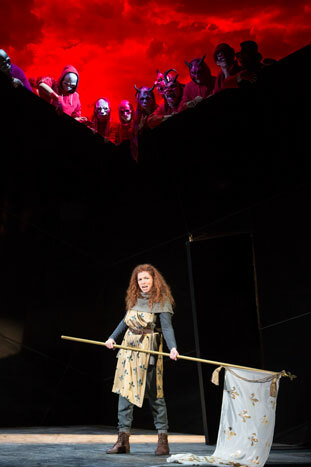 The direction was a straightforward narration of the plot as would be expected from Elijah Moshinsky and Russell Craig's stage design proved most adaptable with two reflective walls at an angle that acted as a castle wall while otherwise focussing the action into a small space, which helped the stage to look well peopled when necessary. The costumes were suggestive of the time the opera was set while the red demons made a lively counterpoint. 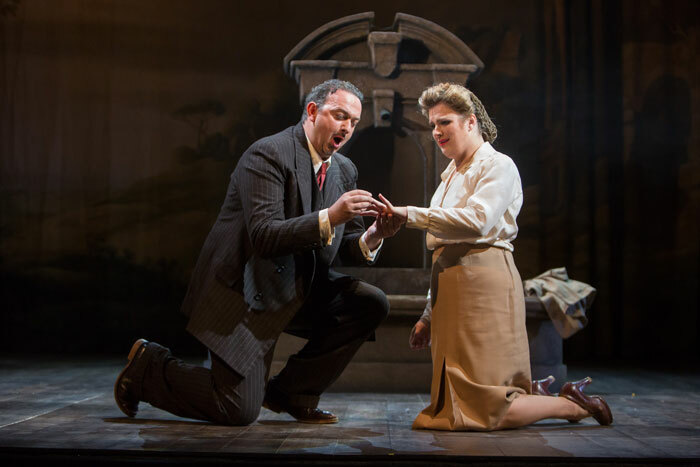 Devid Cecconi as the father was the outstanding singer with a warm Italianate sound and a commanding stage presence. The King probably has the most attractive music and Ben Johnson sang it with some style even if he was rather anonymous as a character. The big disappointment was Kate Ladner. 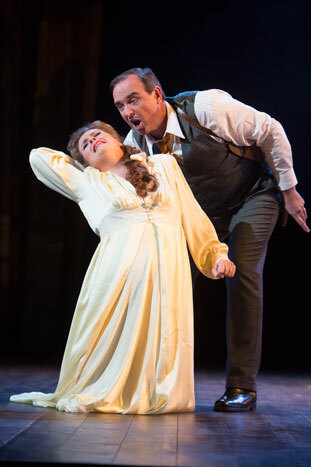 She looked and acted the part superbly and her voice certainly filled the house but, unfortunately, not always to good effect with a certain rawness at times. The chorus and smaller parts and Stuart Stratford and the orchestra all gave excellent support. 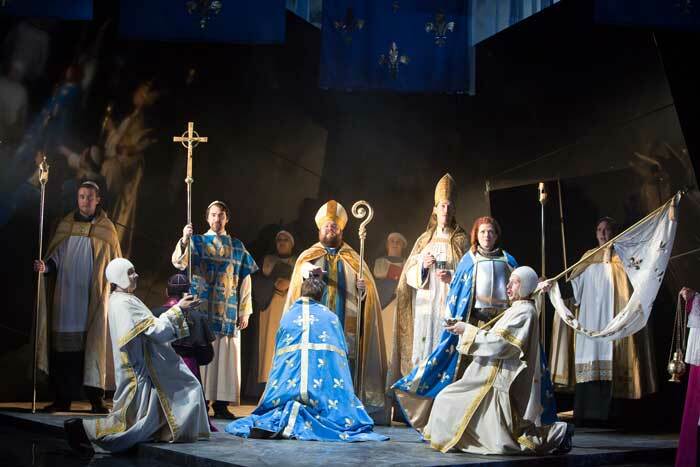 In many ways, the production qualities of Donizetti’s Lucia proved the opposite of those of the Verdi. The main singers were a good and more evenly matched team than in the Verdi, even if none was as impressive as Cecconi. Erin Pritchard produced a compelling mad scene although she was a little tentative in her decoration in the opening fountain scene. Adriano Graziani gave us a well sung Italianate performance if perhaps a little lacking in ardour. In his final scene, he omitted and broke up some phrases making one initially think that his voice was giving out but it was quite effective. As a couple they did seem a tad mature for impetuous young love. 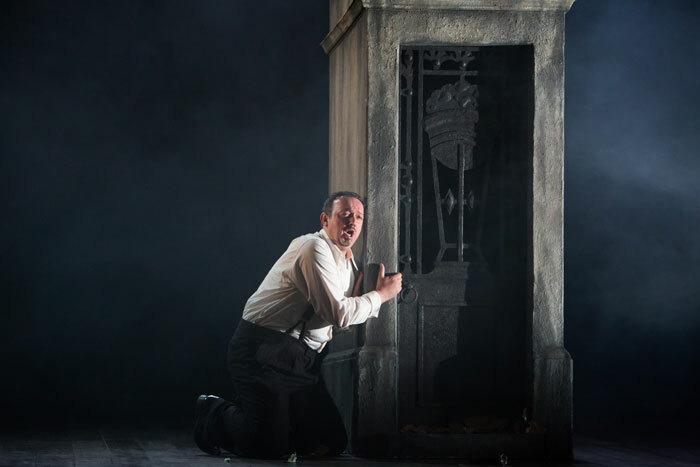 Stephen Gadd was a solidly sung and acted Enrico. The lesser parts were not particularly well taken, but the main problems were down to the production. Buxton decided to give us a very complete Lucia so we got the dramatically pointless and musically undistinguished Wolf’s Crag scene, which always used to be omitted but, unfortunately in my opinion, is often included nowadays for completeness. Worse we got Enrico’s bewilderment and Raimondo’s blaming of Normanno at the end of the mad scene, which were not only uninteresting but, catastrophically, robbed it of a dramatic conclusion. 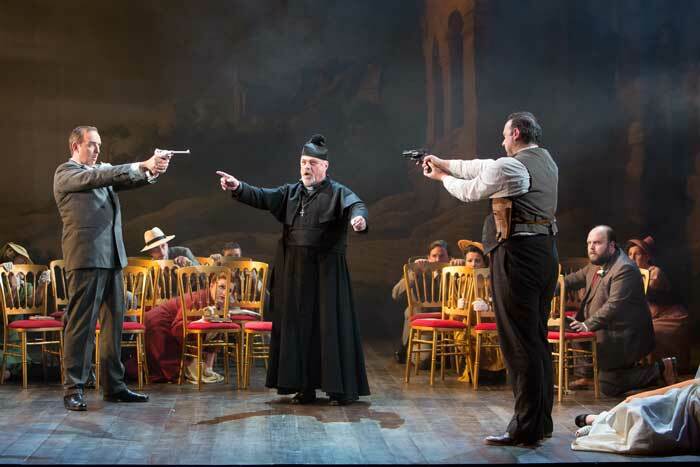 The setting of the opera was moved forward to around the 1940s and seen as a power play between Mafia type families in 1940 ish costumes with swords swapped for guns, which they sometimes seemed to have had difficulty in finding. However, this contrasted anachronistically with the occasional use of a backcloth of some Gothicy ruins. Sometimes the stage was bare except for a single artefact, such as the fountain or the tomb, which looked rather silly, and the empty stage also emphasised the small numbers of the Buxton chorus, even though their singing was good and its volume sufficient. 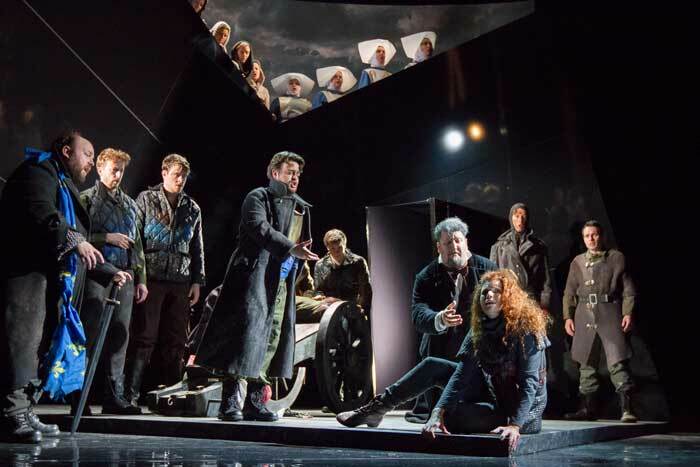 Despite the minimal staging, we were treated to some lengthy scene changes as well as two intervals, which, with the additions mentioned above, meant a long evening and stripped the opera of its dramatic impetus that was not helped by rather stodgy conducting.